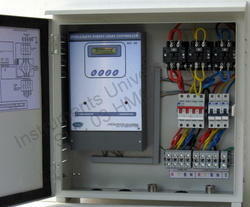 Instruments Universal is one of the leading Automatic street light controller manufacturer in India. Our street light controllers are automatic, programmable and also available in Astronomical models. INSU street light controllers are so raged, that no need to attand the timers for maintenance or time change. We are one of the widely acclaimed manufacturers and exporters of Street Light Controller. 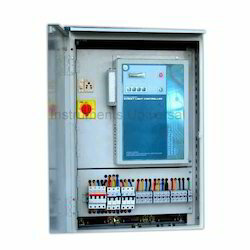 The offered street light controller is very widely used for automation of street lighting system. Our exported street light controller can be installed at any location and area. The offered street light controller is made from high grade components, sourced from very trusted vendors in the market. Packaging Details: Export packaging available. Specially developed panel for high masts, with accurate sunset sunrise based On/Off system. Over Current, High voltage, Low voltage Protection systems, rotating staggering availability, GSM Connectivity (Optional). Main Markets/Key Customers : Municipal corporation,Township, Airport etc.